We present some of the best new ways to accessorize your cute new crop. Pixie haircuts—from bleach blonde to feathery textures—are bold and beautiful. One of our fave ways to style this cut involves pretty accessories that dress up the short hairstyle. Just because this style is short and your hair doesn’t necessarily get in your way, doesn’t mean you can’t rock a cool headband to spice up your look. For a fancy approach, accessorize pixie cuts with embellished hair accessories. 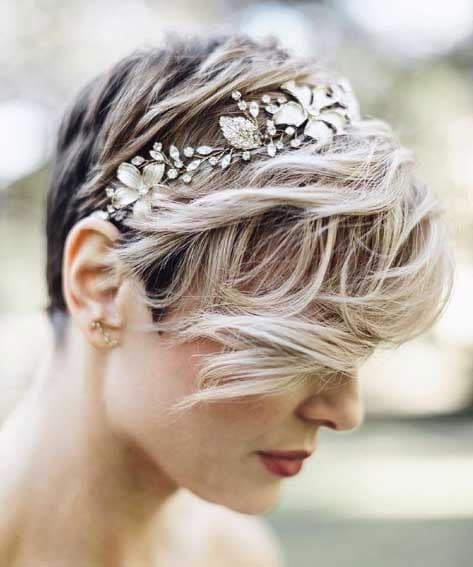 For a formal touch, jazz up your pixie haircut with an embellished headband that looks like a tiara. Opt for wearing this look to a wedding, bridal shower or even to a gala. If you have a cut with longer wispy layers towards the front, use a holding spray to keep it in place. After all, you don’t want to hide your gorgeous hair accessory. 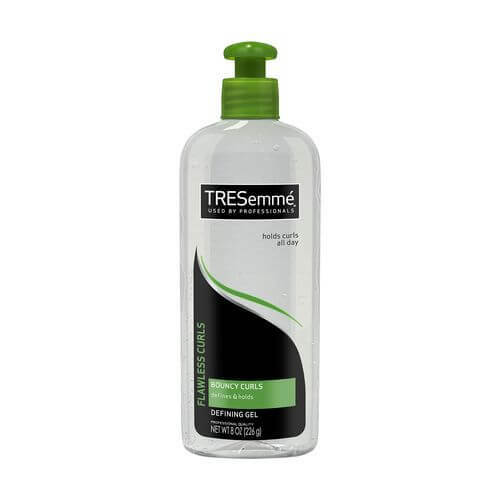 Editor’s pick: TRESemmé TRES Two Freeze Hold Hairspray. For a subtle approach, opt for a monochromatic look. 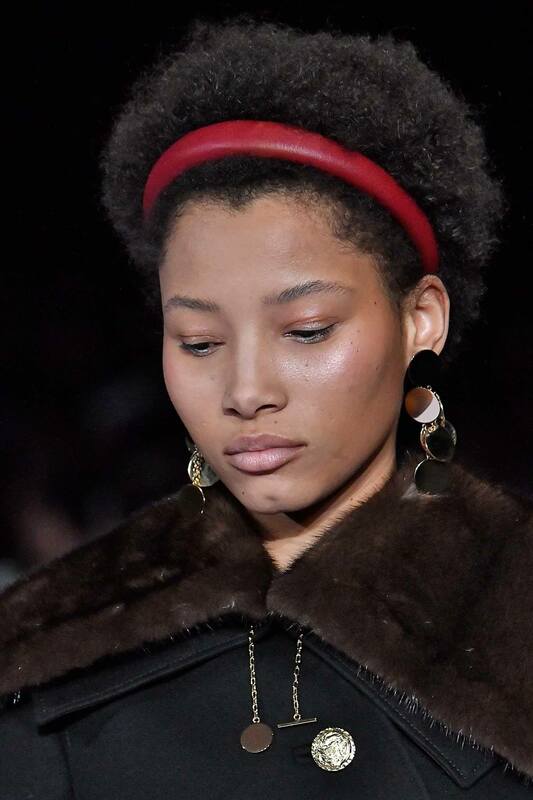 Go for a headband that is the same color as your hair and create contrast with a bold ear accessory with mixed colored metals. Try a style like this as a laid back off-duty look, or as bad hair day quick-fix. 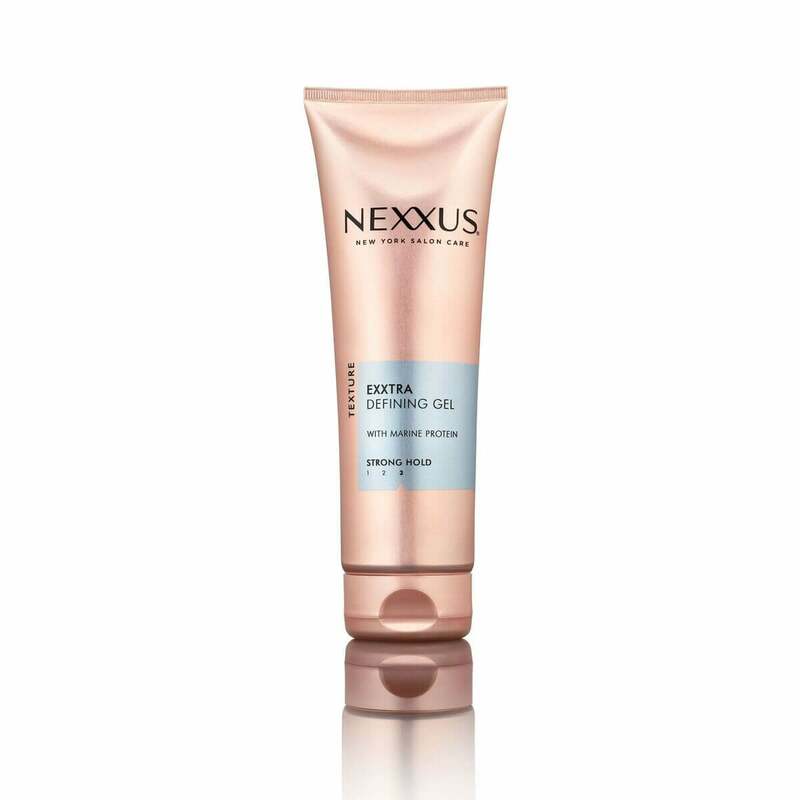 Styling tip: Use a gel, like Nexxus Exxtra Hold Sculpting Gel, to smooth hair back before sliding on your headband accessory. 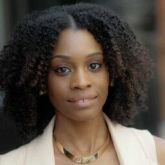 The question a lot of girls ask themselves when they get a big chop, is how they’re going to style it. 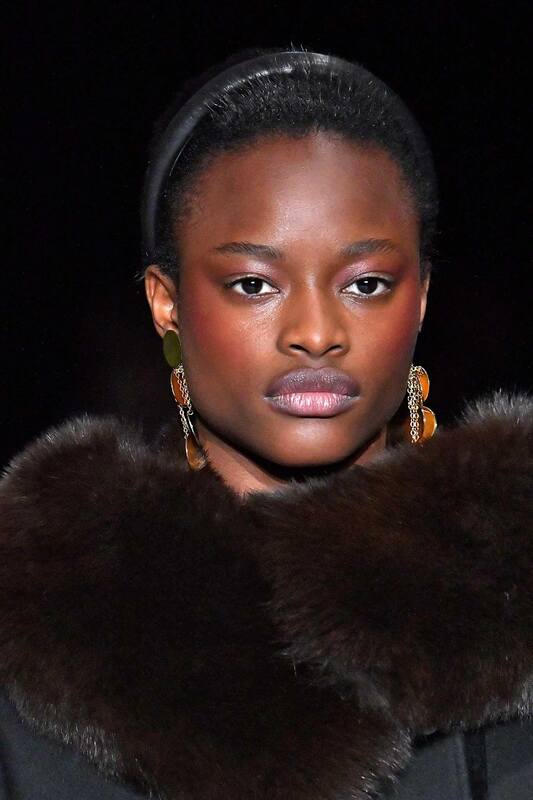 This look is proof that a simple headband accessory goes a long way. Play around with different colors, textures and patterns to update your baby ‘fro. To enhance the definition of your texture—whether you have loose or tight curls—use TRESemmé Flawless Curls Defining Gel to help define your curls. check out more hair accessories we love.